Breast cancer is the second most commonly diagnosed cancer in American females. About one in every eight women will develop breast cancer in her lifetime, and the disease also affects one in every 1,000 men. Thanks to advances in screening and treatment, however, a breast cancer diagnosis isn’t as devastating as it was in the past. Starting around 2000, breast cancer rates in the U.S. began decreasing. Death rates from the disease began to decline in 1989, and new treatment options continue to be discovered. 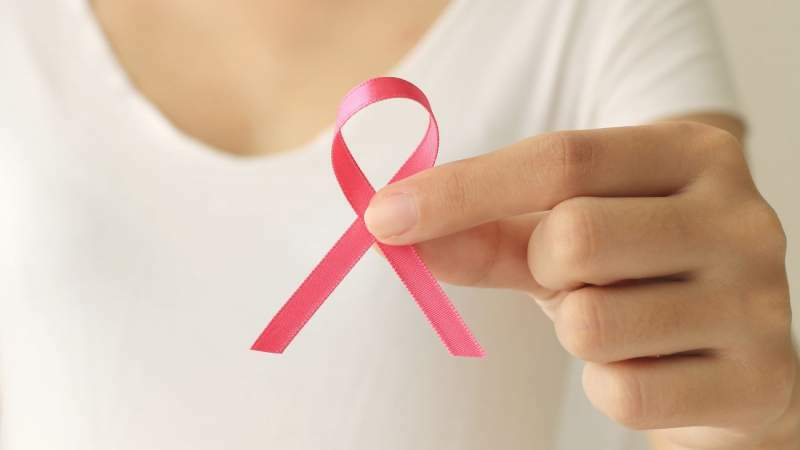 Although death rates among women from breast cancer are still higher than from any other cancer besides lung cancer, the prognosis is good when the disease is detected and treated in the early stages. Being diagnosed with breast cancer still brings big changes into your life. Your routine begins to revolve around your treatment plan, and your focus shifts to healthy lifestyle changes. Family roles evolve to include more caregiving, and others in the household must take on new responsibilities. Understanding the disease and how it may affect your life is can help you deal with your own diagnosis or the diagnosis of a loved one. Cancer develops when normal cells begin to grow too fast and accumulate into tumors. Breast cancer occurs when these tumors form in the breasts, most commonly in the milk ducts or glands. Growths may be made up of abnormal cells or small calcium deposits, and the cancer can spread to other areas in the breast or to other parts of the body through the lymph or blood stream. When this happens, it’s known as metastatic breast cancer and is considered the most advanced form of the disease. Out of all risk factors for breast cancer, gender and age are the most significant. Only 5 to 10 percent of cases are thought to result from genetic factors. If you have the BRCA1 or BRCA2 gene, your lifetime risk of developing breast cancer is 45 to 80 percent. However, this still doesn’t guarantee you’ll get diagnosed. Eighty-five percent of women who get breast cancer have no family history of the disease. If you detect these or any other sudden changes in your breasts, make an appointment with your doctor. Not all lumps are cancerous, and not all skin abnormalities mean you have cancer, but it’s important to be examined by a medical professional because early detection provides you with the best chance for successful treatment. Most breast cancers are carcinomas, cancers beginning in the epithelial cells of the breast. When cancer occurs in milk ducts, it’s known as ductal carcinoma. In the glands, it’s called lobular carcinoma. Another 20 percent of cancers exhibit excessive HER2 protein and are categorized as HER2-positive. Ten to 20 percent of cases are triple negative, showing neither hormonal response nor elevated HER2. These are most often associated with the BRCA1 gene. Stages 0 and I are the earliest, and cancer cells are still confined. Stages II and IIA are still early. Cancer cells are growing or spreading but contained within the breast. Stages IIIA, B and C are advanced, indicating cancer is beginning to spread to areas near the breast. Stage IV describes invasive cancer spreading to other tissues or organs in the body. Breast cancer is most commonly diagnosed with a mammogram, ultrasound or MRI. If your doctor suspects a growth to be cancerous, he or she will schedule a biopsy to confirm the diagnosis. New treatments, including tyrosine kinase inhibitors, anti-angiogenesis drugs and PARP inhibitors, may provide additional choices for patients desiring targeted treatments. The earlier breast cancer is detected, the more treatable it is. Because of improvements in screening and treatment, nine out of 10 women have a five-year survival rate, and 8 out of 10 live for at least 10 years after being diagnosed. Regardless of the stage of the cancer, treatments are always available. Survival rate gives the minimum number of years a breast cancer patient can expect to live, so a five-year survival rate means you could live far more than five years if treatment is successful. With the ongoing research into new treatments and continued refinement of existing options, you can enjoy many active years after being diagnosed with breast cancer. Women and men with the disease often have a positive prognosis and can have a great deal of hope thanks to diligent researchers and medical professionals dedicated to finding ways to prevent and treat the disease.